CHI is proud to promote any book written by a CSNA Student, CSNA Graduate or CHI Member. This page is dedicated as a listing for that purpose. Please contact us if you would like to see your book listed on this webpage. To qualify you need to be a student, student graduate, CHI member or a contributing special guest writer who authored an educational article for the course. A Collection of 170 Healthy Clean-Eating Recipes for your whole family. Fueling your body with good wholesome food is the key to good health and longevity. The recipes in this cookbook have been developed, tested and tweaked to meet the criteria of Healthy Eating. 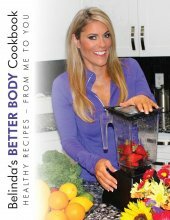 Belinda hopes you enjoy these recipes as much as her friends and family members and clients have. Enjoy! Whatever It Takes! contains extraordinary strategies that will help you create a positive attitude towards your life and give you the success you want. With this book as your guide, prepare your soul, heart, mind and body to discover your inner greatness. Nick is featured as a special guest writer in Module Eight of the CSNA Education Program. One Rep at a Time chronicles Karen’s journey from tough childhood to bodybuilding champion, and how living through her son’s challenges with muscular dystrophy forced her into re-defining what true health and wellness is all about. It includes access to her unique 8-Week BLISS Body Makeover Program, for any woman of any age! Stress is real. We all experience it, and it can't be avoided. Adaptogens are unique phytonutrients that support the body in times of stress. This book explores modern and traditional usage of several of the most popular adaptogens as they apply to health, stress, and athletic performance. 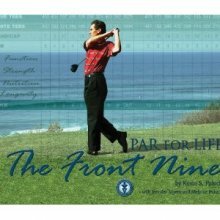 Par For Life - The Front Nine combines golf instruction with gentle but effective exercises designed to get your body in a better alignment to take on the game. Along with nutritional information and plenty of healthy recipes, Par For Life - The Front Nine gives you the tools to play golf as much as you want for as long as you like. 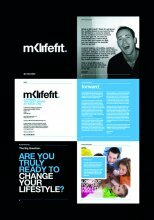 A life changing 12 week program in 3 structured phases designed to give you the healthy balance you need to live the way you want and get into the best shape of your life. This book was written to demonstrate how YOU can bring more vitality back into your life, build up your stamina, and access incredible amounts of energy to do the things you love.